Michigan is the Great Lake State and with good reason, from anywhere in the state you are within 85 miles of one of the Great Lakes and 6 miles from a natural water source. Michigan is one of the most beautiful places in the world, trust us you want to be here! 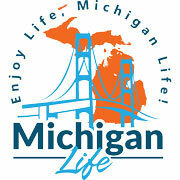 Come learn why we say Enjoy Life, Michigan Life! Forty of the state's 83 counties adjoin at least one of the Great Lakes, in addition there are more than 11,000 inland lakes and more than 36,000 miles of streams. If you love water, summer and fun - Michigan is the place to be. Come join the adventure of Michigan Life! Everyone wants to spend their Michigan Summer Outdoors. Below you will find What to Do and See in Michigan by Michigan Region this Season.